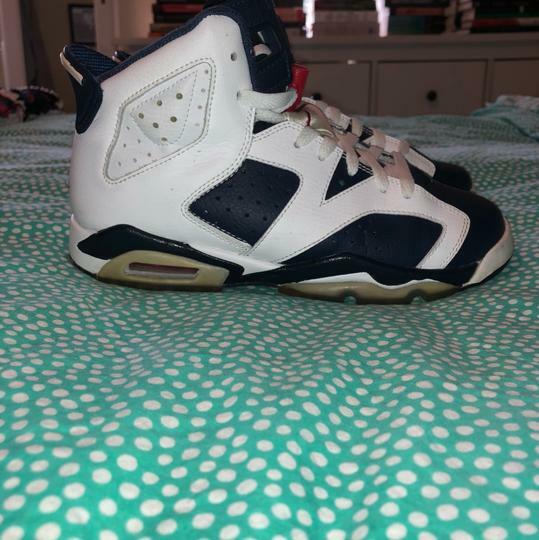 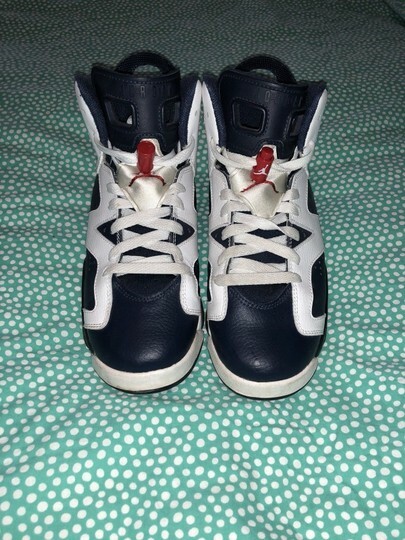 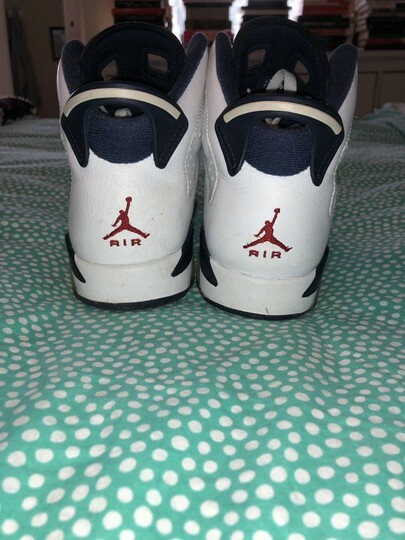 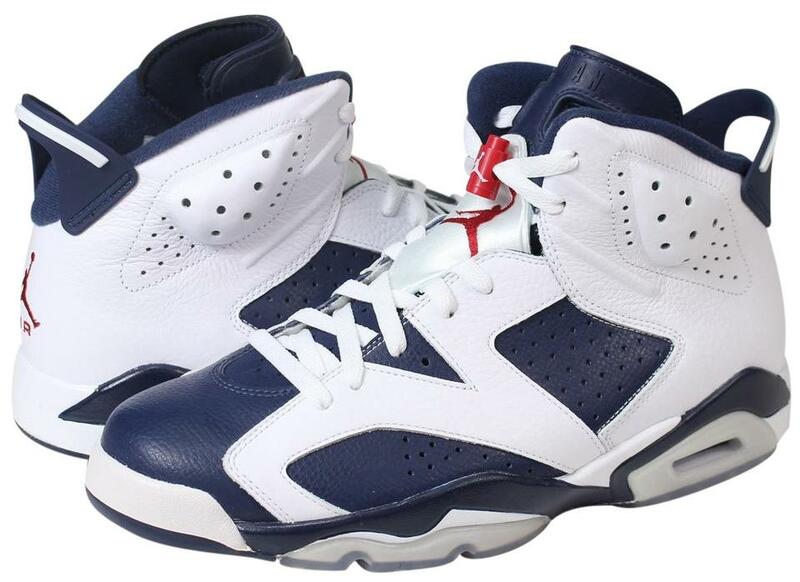 For the Sydney 2000 Olympic games, the Air Jordan brand released the Olympic Air Jordan Retro 6 (VI) which featured Midnight Navy, Varsity Red, and White, traditional U.S.A and U.S.A Basketball jersey colors. 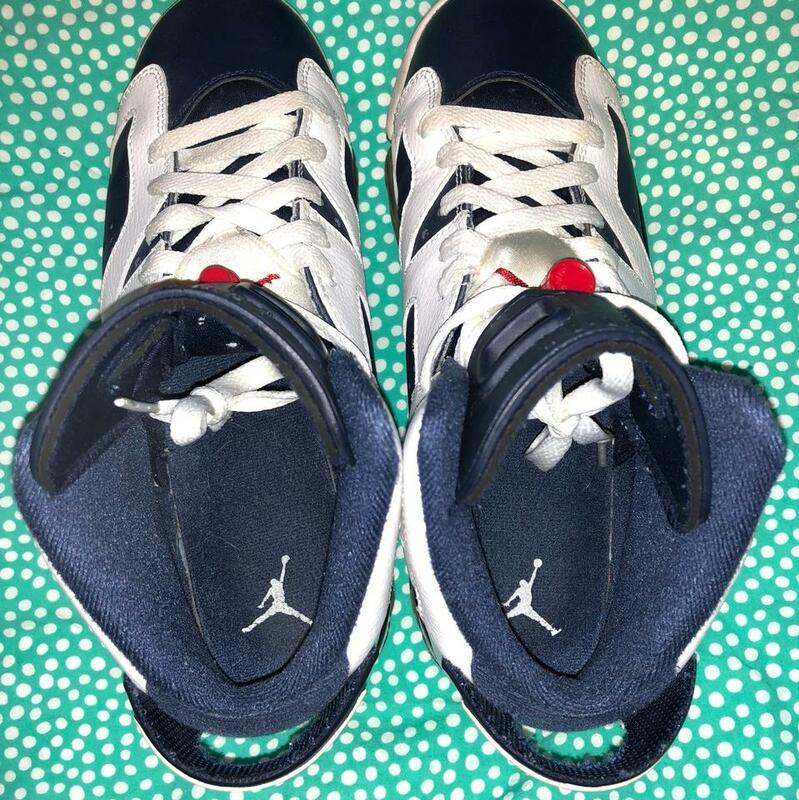 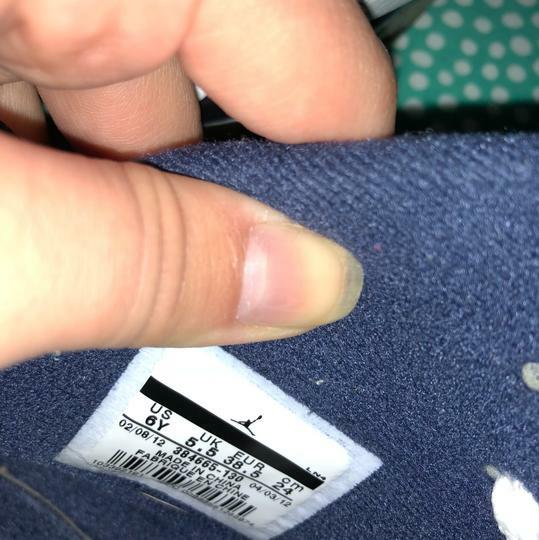 The Air Jordan Retro Olympic VI is very simple like many of the Air Jordan VI, Navy Blue panels on top of a White leather upper is simply an amazing combination. 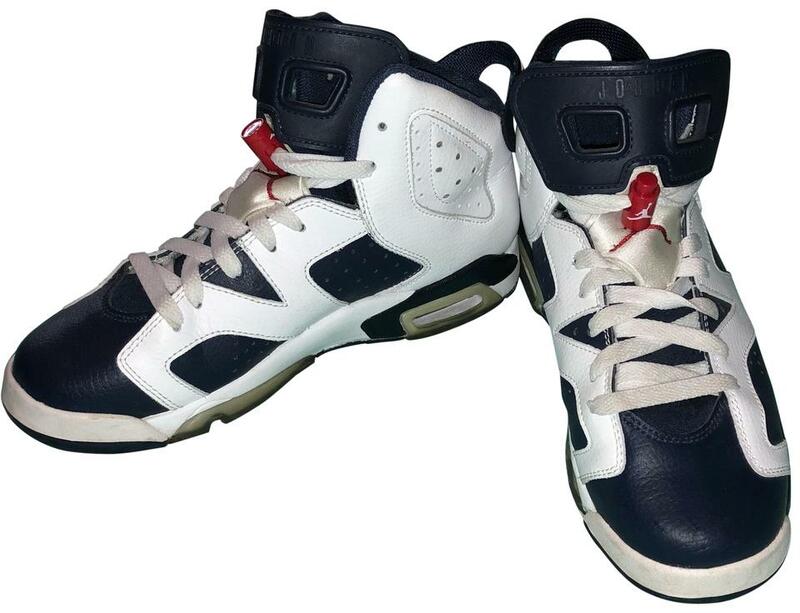 It is so simple, but looks absolutely stunning on the Olympic Air Jordan 6,the Red Jumpman logo and accents only make the even better. On September 15th, 2000 the Olympic Air Jordan Retro 6 (VI) was released and had a retail price of $120. 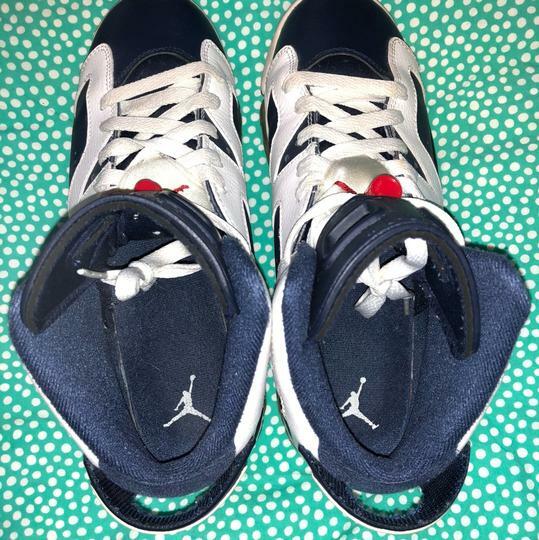 The quantity produced was limited to an estimated amount of 150 to 200 pairs which justifies its current price which can be up to $500 or more.